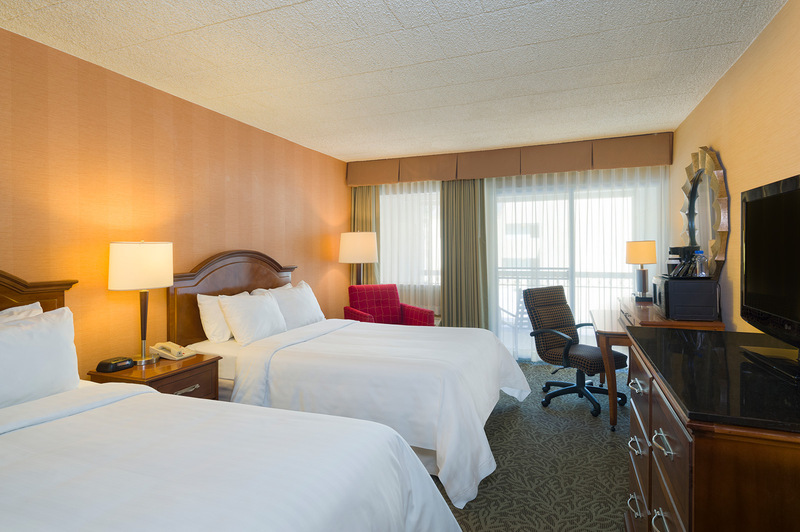 Our luxurious guest rooms were designed with your comfort and convenience in mind. At Toftrees Golf Resort in State College, comfort and convenience combine to create an unexpected retreat just minutes from Penn State University. 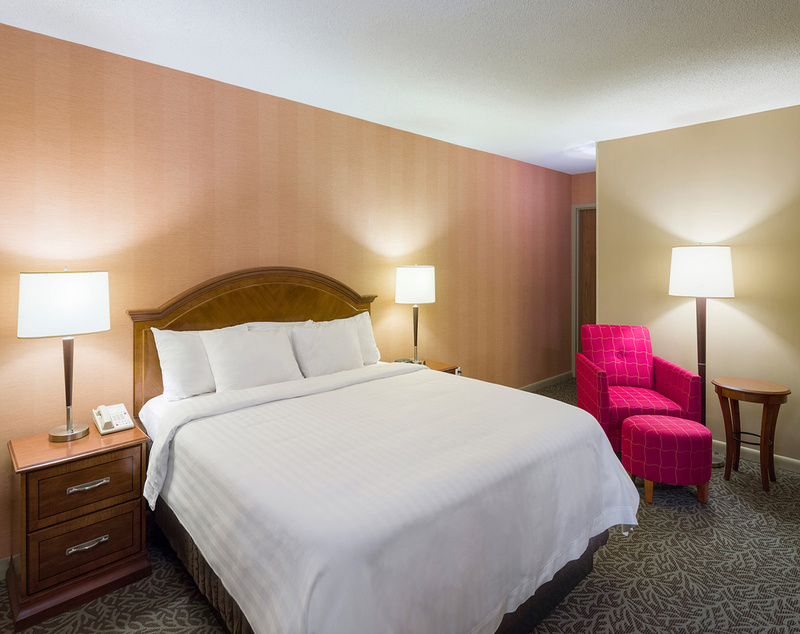 We offer 102 guest rooms and suites with six different room styles to choose from, all of which include features like complimentary Wi-Fi and a coffeemaker, LCD flat-screen TV with HBO, hair dryer, iron/ironing board, and spacious work area. Choose a premium room and enjoy the view from your private patio or balcony, or indulge with a club room featuring extra space and a kitchenette. Whatever you decide, you are sure to feel right at home in this secluded State College destination. Get ready to relax. Our King Club room features a large king-sized bed, microwave, flat-screen television, and refrigerator to help you feel right at home. After a day on the golf course or exploring the city, relax on your private patio or balcony. 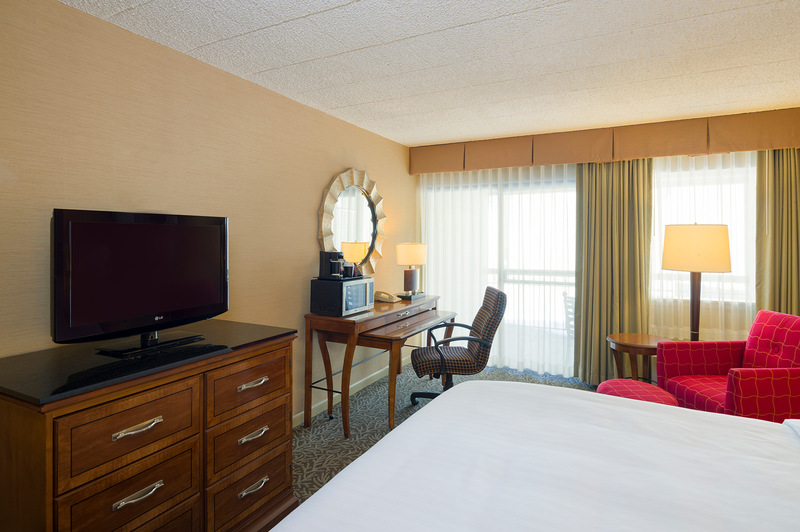 This premium room offers an ample floorplan with two double beds, flat-screen TV, and a microwave. It's the perfect choice for families or small groups who want to be near downtown State College. 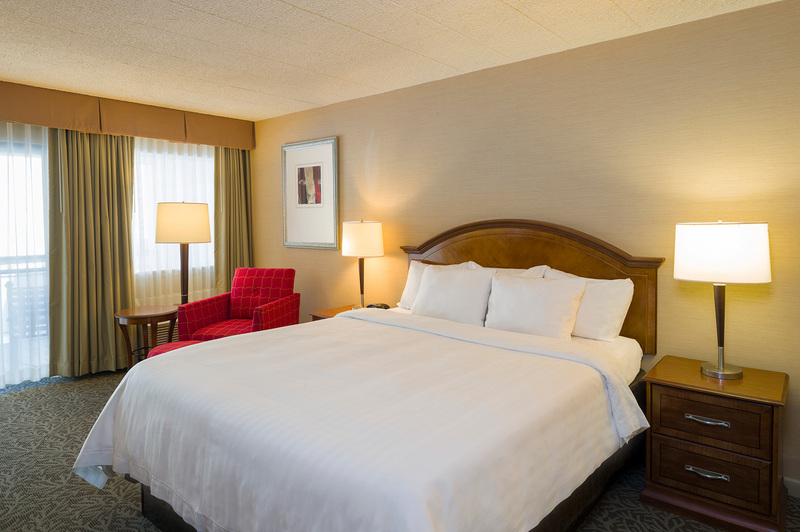 Our Deluxe King Room features plenty of space for business travelers, couples, or small families to lounge around and relax. It offers a flat-screen TV, large king-sized bed, along with our standard room amenities. 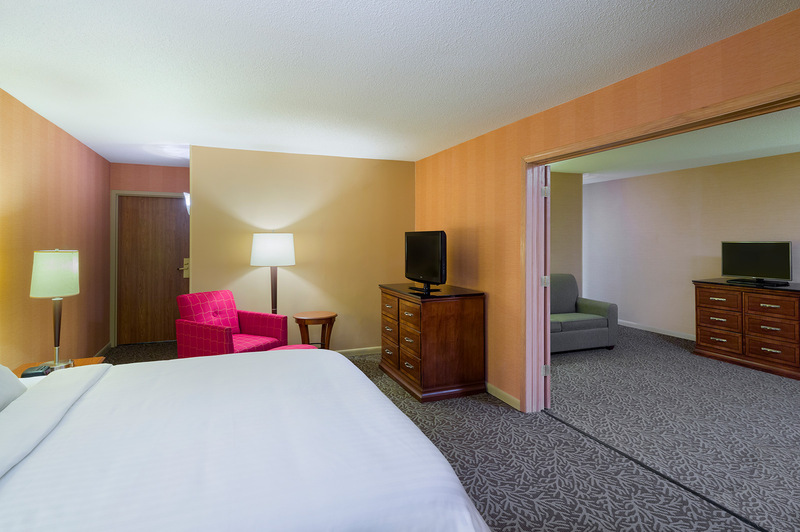 Our Deluxe Double Room offers a little extra space, making it great for families or traveling groups. 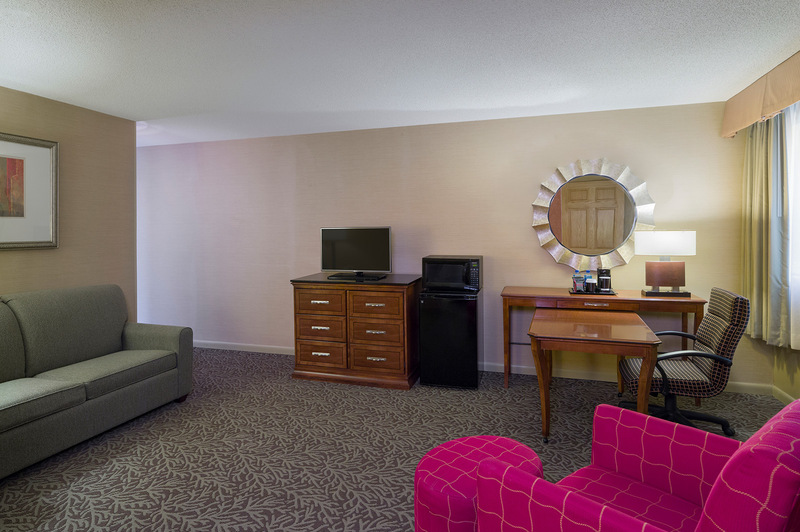 Each room features two double beds, a flat-screen TV, and all our other standard amenities. Live like a king in our two-room King Suite. This expansive room features a luxurious king-sized bed in the bedroom, as well as a pullout sofa bed in the living area. The ideal room for large families or traveling groups, our Double Suite offers two double beds as well as a spacious living room with a pull out sofa bed, refrigerator and microwave. Both the bedroom and living room have Flat Screen TV’s and restrooms.